Actress. 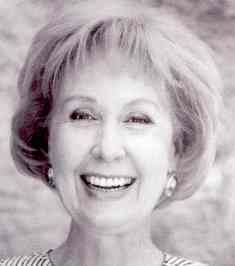 Born in Salt Lake City, Utah, she was a character actress who appeared in numerous films and television shows from the 1940s to the 1990s. After making her debut in the 1948 film “Up in Central Park”, Backes appeared in “I Want To Live!” (1958), “It Started with a Kiss” (1959), “The Glory Guys” (1965), “Snowball Express” (1972), “Gable and Lombard” (1976), and “The Cat From Outer Space”, (1978). Her television credits include “Dragnet”, “General Electric Theater”, “M Squad”, “The Alfred Hitchcock Hour”, “The Rifleman”, “Ben Casey”, “Leave It to Beaver”, “Wagon Train”, “Bewitched”, “Ironside”, “Columbo” and “Barney Miller”. She also had a recurring role on the television series “Mayberry R.F.D.”. She was married to movie editor Milton Citron.